Tax Planning and Trusts are intrinsically linked as both help to protect the value of endowment you leave to your loved ones, whether it’s your spouse, children or grandchildren. Make sure you protect the value of your estate by taking the appropriate legal measures. The tax payable on an estate when an individual dies is called inheritance tax; this tax is also payable on certain types of lifetime gift. A simple tax planning process as offered by the experienced and friendly solicitors at Howells, will help you arrange your affairs so as to make best use of the nil rate tax band (available on the first £325,000 of the estate, along with other reliefs and exemptions available. The methods we propose to our clients here at Howells are always simple and straightforward and protect your financial security, maximising the value of the gift you bequeath. Often the first consideration we take in the tax planning process will be to ensure a tax efficient will is in place. 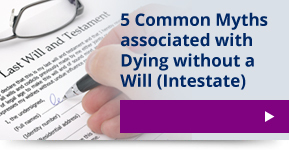 We are experts at advising individuals as to how best reduce the tax bill upon your death. We can save you thousands on your tax bill ensuring your family is safely provided for. We can also advise as to what type of lifetime gift to choose, preparing all the necessary documents on your behalf. The tax planning service we provide also enables us to handle the technical administration of Trusts such as annual accounts and tax returns. A Trust is certainly worth serious consideration if you have dependents who rely on you for their financial wellbeing. Whether it is your spouse, children or grandchildren who need to be looked after financially, Howells’ experienced and friendly team of solicitors are here to help you choose and set up a Trust, taking care to discuss your options without the longwinded legal jargon. Broadly speaking, a Trust is an arrangement by which an individual known as a Trustee, holds assets on behalf of another, known as a beneficiary. Trusts are an excellent method of helping individuals to save tax, effectively increasing the value of your assets. Whether you want to leave your assets to children who are not currently old enough to manage their own affairs, buy a buy-to-let property jointly with a friend, or pass some of the value in your business to your children, a Trust can help in all of these situations. Howells Solicitors put their years of experience and expertise into practice to decide whether a Trust will benefit your situation. We help with the set up of Trusts, advise how to deal with HM Revenue and Customs and advise as to the costs of setting up a Trust and running it in the long-term. Our dedication ensures well drafted and clear Trusts in Cardiff and Newport. If you require information or assistance on any aspect of tax planning or Trusts in Cardiff and Newport, please contact our dedicated team today. Alternatively you can make an appointment to speak to a member of the team by calling 02920 404034 or by emailing: info@howellslegal.com.